When we began to expand our family and have babies, Jason and I promised ourselves that we wouldn’t stop traveling and having adventures together. I had heard too many stories from people who had young children and were so wrapped up in their routines they complained of not being able to see a movie or go out to dinner for years at a time. That situation works fine for many people, but sounds like a nightmare to those with a gypsy spirit. What we’ve found over the years since is that taking our children traveling and exposing them to a lot of new experiences and situations when they were young shaped them to be incredibly adaptable and able to handle crazy schedule changes, jet lag, new foods, and countless other inconveniences surprisingly well. When the girls were very little (2 and 6 months), we lived in Japan and Jason frequently had to leave for work to different parts of Asia, Alaska, and the South Pacific. When he was assigned to an exercise in Darwin Australia, we jumped at the chance to turn it into a family adventure. He took a few weeks off on the back end, and we began researching a caravan trip. That road trip ended up being one of the most wonderful adventures of our lives. I highly recommend the drive from Darwin to Alice Springs for addition to anyone’s bucket list! Starting in Darwin, we enjoyed the night market, museums, and seaside walks. 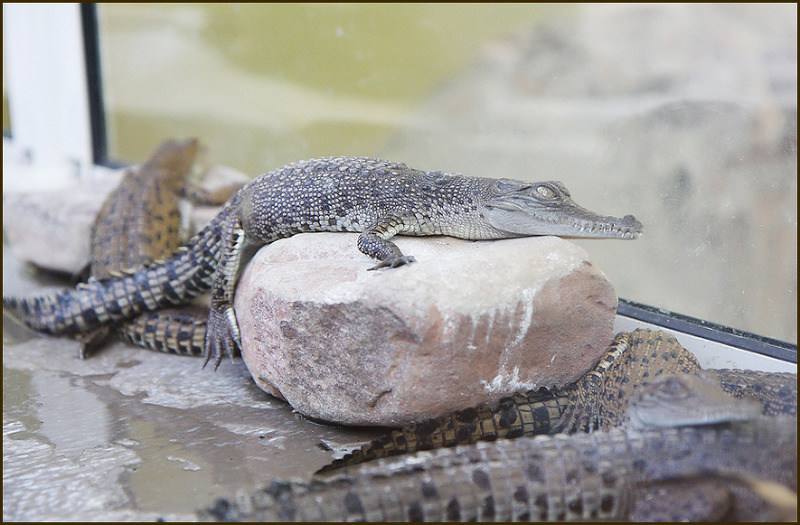 We spent a day at Aquascene, feeding fish and baby gators. We were there in July (the Australian winter) so temperatures were mild. We then rented a Britz camper van and hit the road, stopping first for a few days at Litchfield Park. 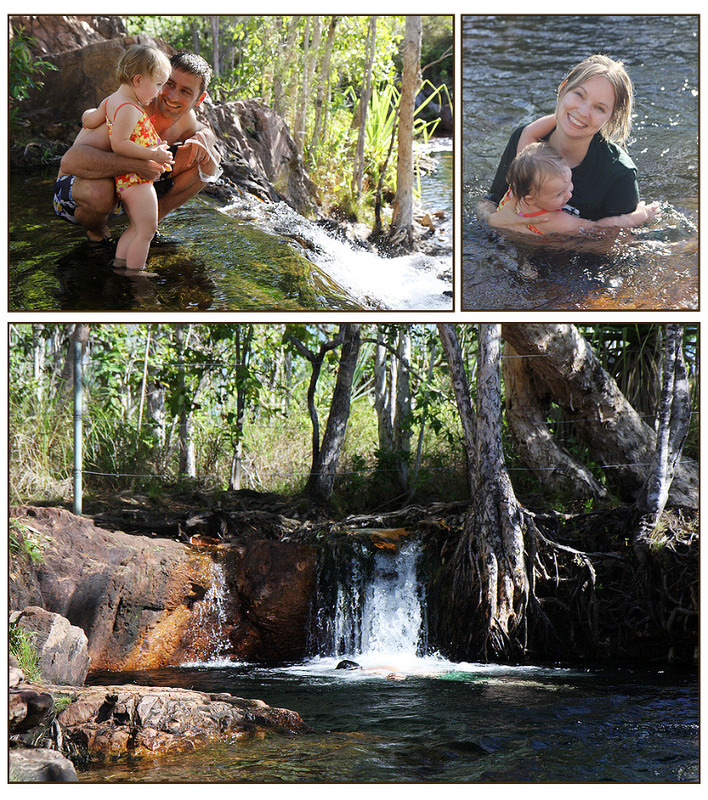 Litchfield National Park in the Northern Territory of Australia is lush and full of so many beautiful places to explore. It’s rich with plant life and roaring waterfalls. The absolute highlight of our time there was a visit to the Buley Rock Holes. Several areas of clear deep holes filled with cool clean water and surrounded by twisty trees and smooth rocks made for a tiny paradise in the middle of the forest. We spent half a day there and left feeling refreshed and peaceful. After those side trips, it was time for the real Outback portion of our journey. We took a few days to drive down Hwy 87 towards Alice Springs, staying in various campgrounds along the way. If I had any preconceived notions that driving through the desert would be boring, they were quickly blasted away by my awe at the stark, magnificent, ever-changing landscape. Fawn colored termite mounds gave way to deep red ones. Eucalyptus and ghost gums and countless other trees and shrubs I can’t name scattered across the terrain that seemed to be a different hue and texture each day of our drive. Kangaroos and Wallabies darted across the road. We saw many sites and met lots of interesting people, most notably some of the permanent RV-ers that stayed at the campgrounds we parked at each night. It introduced us to a fascinating alternate lifestyle of road warriors, with their own lingo and traditions and humor. 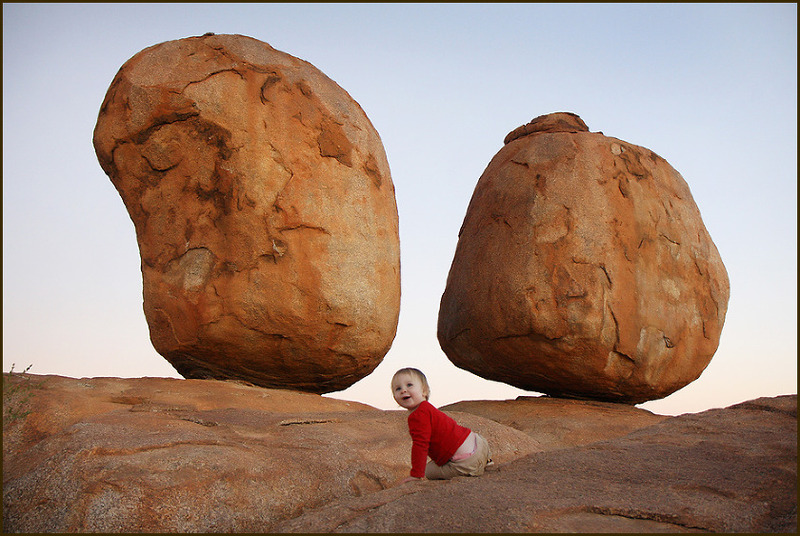 The final stop before we hit Alice Springs was a place called the Devil’s Marbles. I had seen a picture of these huge boulders in a travel book and had to see them in person! We got there just before dusk and luckily had the place to ourselves as they glowed orange in the light of the sunset. Alice Springs was a charming town (one I had dreamed of visiting since I was a child and read “A Town Like Alice”). We stayed at a lodge just outside of town, where every evening the black-footed rock wallabies would venture down from the rocky hillside where they were perfectly camouflaged to let the folks at the lodge feed them by hand. Our last stop before flying out of Alice Springs to Perth was a two day trip to Uluru, Ayer’s Rock, iconic and spectacular. Christine | The Traveloguer - This is such a great post. Not doing that road trip is my biggest regret about living in Australia.